Fave ’90s style and school supply icon Lisa Frank is back, and she’s here to take over your closet. As if it wasn’t enough that we can deck out everything from our homes to our brunch parties to our tarot cards in rainbows thanks to the rad illustrator, it’s time to make one more thing in your life perfectly colorful: your wardrobe! That’s right. A Lisa Frank clothing collection is here, and we want ALL THE THINGS. The entire collection is sure to make even the biggest all-black-every-day devotee want to slip in a little color. With 70 pieces to choose from in an awesome range of prices, the RageOn! collection takes the brightest of bright and makes it wearable. It’s one collection worth investing in, especially since Lisa Frank clearly never goes out of style. Or out of our hearts. Long story short? It’s time to grab your squad and hit up well, everywhere in head-to-toe, blinding rainbow. 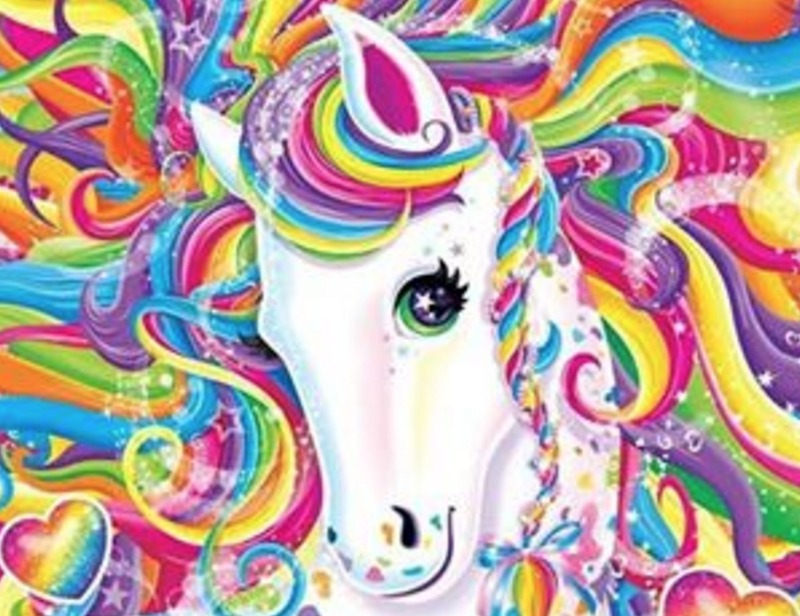 Because the ‘90s may be long gone (don’t remind us), but we’ll never let go of our love for all things Lisa Frank.